During a panel discussion at Total Tech Summit 2018, integrators discussed challenges around improving profitability on AV projects. Unfortunately, there was no superpower unveiled to help AV integration market with perhaps its signature challenge. Revenue across the AV industry appears strong, according to early returns from Commercial Integrator’s 2018 State of the Industry survey. The problem, however, is that the positive trend isn’t necessarily sustainable. “What seems weird is that there’s such a demand for what we do and our members are as busy as can be, but when we look at our financial analysis and all the numbers, I worry about how sustainable their plan is,” said NSCA executive director Chuck Wilson last month at NSCA Pivot to Profit 2018. 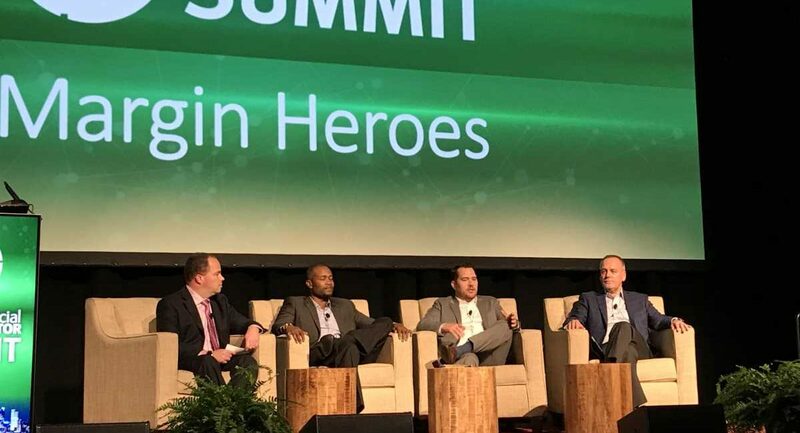 Margin Heroes, moderated by CI editor-at-large Craig MacCormack, offered no magic bullet to solve the AV integration profitability dilemma. It did, however, feature three AV integration professionals — Ivan Collins of Innoface, David Bishop of Pro AV Systems and Mike Harmon of ESCO Communications – speaking honestly about how strive for more profitability in AV projects. All three panelists stressed the importance of carrying fewer manufacturers, focusing on vendors that appreciate the need to maintain margin. “Consistency of products reduces cost over time,” Harmon said, citing that it requires less unwieldy spending on training for various products. While it’s important for integrators to reflect their customer’s needs, it’s even more vital not to haphazardly enter a relationship with a vendor that isn’t supportive of the process. “We’ve been burned by bringing in a product that we can’t support,” Bishop acknowledged. Integration firms that don’t understand that they’re in the business of selling system solutions and not products are quickly becoming extinct. That will accelerate in this era of low AV projects margins. “Margins are really shrinking at this point,” Collins said. “We’re competing with online shopping, Amazon. The trick is not to elevate above that price comparison conversation. Harmon agreed. “If you uncover that value for the customer and the complex problems you’re solving,” he said, that’s when you can increase margins. To a certain degree, Harmon said it’s important to get the sales team on board with preserving that margin. He said ESCO Communications incentivizes the sales team by compensating them above a minimum margin level. Each of the panelists’ firms, to a certain degree, relies on subcontractors to complement their labor force. Each, however, treads carefully. From an AV projects margin perspective, “the nice thing about subcontractors is it mitigates some risks,” Bishop said. 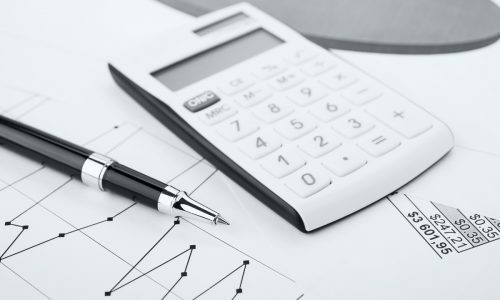 There is usually a fixed cost associated with a subcontractor so it makes margins easier to predict. Other variables to working with subcontractors could create other types of risk, Collins said. It falls on integrators sometimes to help the customer understand the value of expert system designers and technicians – and some customers understand that more easily than others. The elephant in the room during the Total Tech Summit 2018 presentation on improving AV integration profitability was the topic of service revenue – and the industry’s well-documented struggle to achieve more of it. Harmon shared that ESCO Communications has a sales team that’s separate from its AV projects group that pursues service sales. He explained that sometimes the service would get lost in the project sales professionals’ focus and that the service sales team brings a new mindset from outside the industry. “It’s a lot like selling insurance,” he said. Collins predicted that within two to five years “AV as a service” will be common place. He expects customers not to purchase equipment but to pay for systems on a monthly basis. Collins predicted that within two to five years, “AV as a service” will be commonplace. He expects customers not to purchase equipment but to pay for systems on a monthly basis. Yes, he said when prodded by moderator MacCormack, Innoface is trying to get ahead of it. “We are working on some different initiatives to be able to present that to the market in a very special way,” Collins said. Harmon agreed that “parts of our business will go that way.” He compared it to the mindset of today’s consumers that pay a fee for Netflix and expect that the service is going to work. While all three panelists agreed that service is a vital component to AV integration profitability going forward, none seemed to be giving up on product and AV projects profitability. Instead, they emphasized tighter policies and more attention to detail. Above all, they underscored how essential it is for AV integration firms to improve AV integration profitability and to continue to evolve.